Socks of 2013, January: Boo! 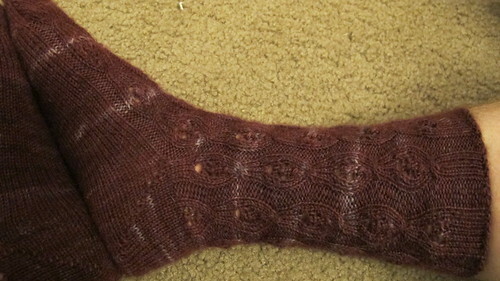 Toe-up Socks. - I'm not lost, I just don't know where I'm going. Socks of 2013, January: Boo! Toe-up Socks. 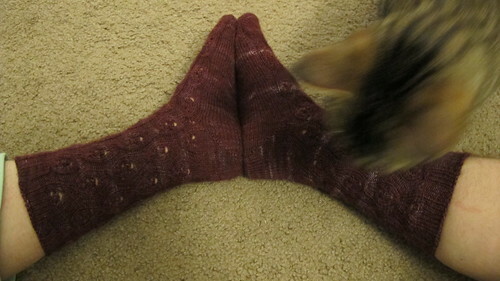 · Socks of 2013, January: Boo! 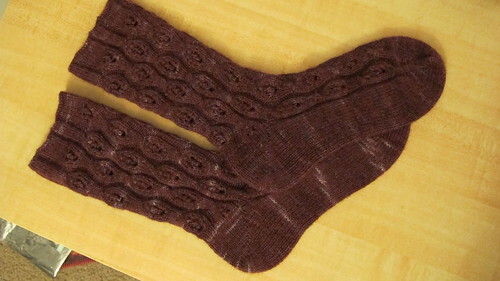 Toe-up Socks. A lovely, quirky pattern. Very different from any other socks I've made before. 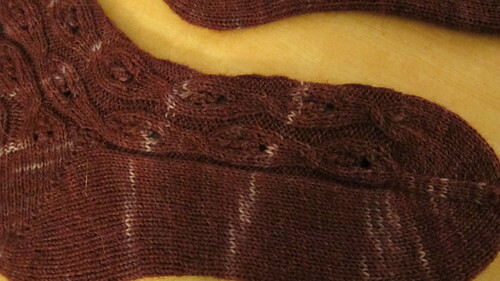 Yarn: Sandnes Sisu, dyed with kool-aid. 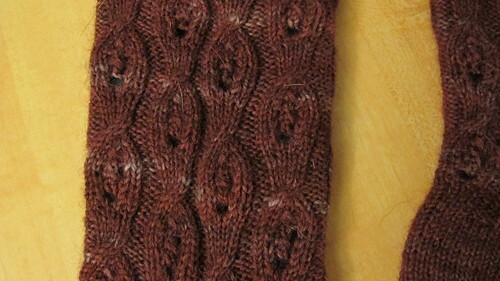 I dyed this yarn back in the autumn of 2011. I was originally trying for something blue, but then I didn't pay much attention to which flavor I poured into the dye bath, and I got some (very red) Tropical Punch in there, because its packaging is blue. I decided to not waste the dye bath and just go with it. So it's red with a tinge of blue. Somehow it took me from the first day of January to the last to complete them. 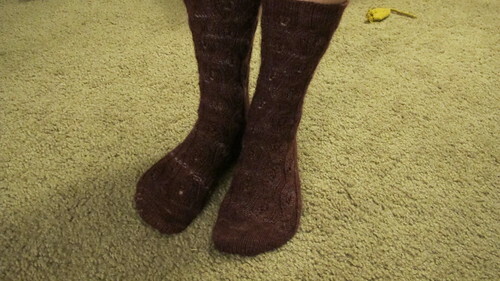 And then I did the same for February's socks.